Don’t worry, the gasoline-powered Porsche Macan isn’t going anywhere, yet. Porsche sent shockwaves when it announced the successor to the best-selling Macan will only be sold as a pure electric model to go after the Audi e-tron, Mercedes-Benz EQC, and BMW iX3. Do not despair, however, because the gasoline-powered version won’t be going anywhere – at least not initially. According to Autocar, Porsche is extending the life of the current first-generation Macan beyond its planned lifecycle, meaning it will be sold alongside the second-generation electric model when it launches in 2021. 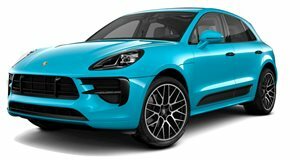 "The petrol engine Macan will continue to be produced alongside the new electric PPE based Macan in Leipzig,” a senior spokesperson from Porsche’s Zuffenhausen headquarters in Stuttgart confirmed. Porsche didn’t say how long both models will be sold simultaneously, however. "There will be a transition time, but just how long that will be has not yet been determined,” the spokesperson said. Extending the life of the current Macan makes perfect sense. It’s currently Porsche’s best selling model by a significant margin, and the automaker believes that most markets won’t be ready to switch to EVs when the new electric Macan launches in a couple of years. "The move to a fully electric model line-up is suitable for certain markets, but due to a lack of infrastructure and other hurdles, it is yet not possible in other markets. We are constantly monitoring the situation and can react accordingly," said Porsche. Combustion engine versions of the Macan will remain on the Audi-developed MLB platform, while the new pure electric version will use the PPE (Premium Platform Electric) architecture being developed in an engineering partnership between Porsche and Audi. Both models will also adopt similar exterior and interior styling. The second-generation Macan will be Porsche’s third electric model following the Taycan due out later this year and the Taycan Sport Turismo wagon, which is slated to go on sale in 2020. No technical details have been released yet, but the electric SUV is expected to feature a twin motor setup and standard four-wheel drive. A mid-life nip and tuck keeps the Macan fresh and on top of its game.